We may live in an age where the job market is extremely competitive, but there is one thing that current job hunters have that previous generations didn't: a much bigger world of job opportunities! Thanks to the internet we are able to connect with potential employers world wide. One of the greatest ways for artists, architects, programmers, photographers, game developers, or any other visually creative individual to reach this global audience is by creating a digital online portfolio. 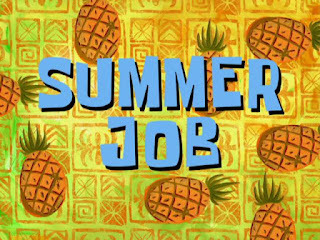 Nothing feels greater to an artist then having their work fashioned together in a way that highlights their character and talent for curious employers. But what does the creation process of such a medium entail? 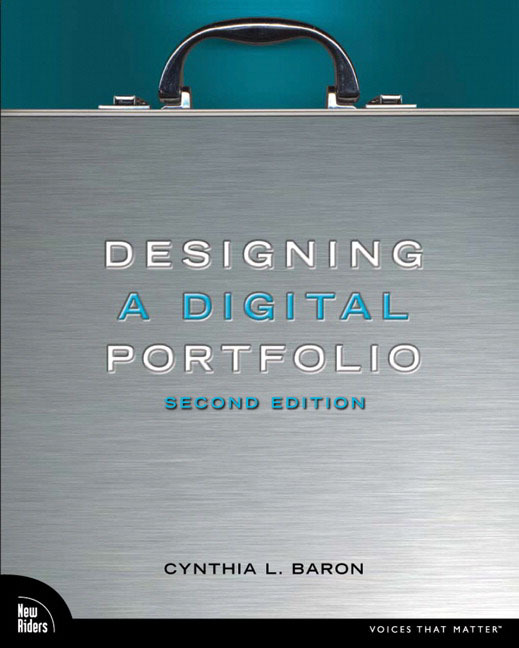 Cynthia L. Baron's book 'Designing a Digital Portfolio' (2nd Edition) highlights the process of creating an online portfolio, what to include, and how to present it. Baron covers topics such as digitizing your art, writing your biography (keep it short and sweet! ), portfolio reels, and the risk associated with posting your work online. With plenty of eye-catching images and creative page layouts, this portfolio guide is easy to navigate and offers information for both tech savvy individuals and fearful technophobes. Complete with examples of real digital portfolio's at the end of each chapter, 'Designing a Digital Portfolio' is an excellent resource for both beginners and experts of the digital realm. I highly suggest that students in Brock programs such as Visual Arts, Interactive Arts and Science, Computer Science, and Film take the time to read through the information within this book and begin organizing their own creations into an inspiring online presence. 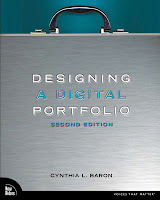 If you are interested in reading 'Designing a Digital Portfolio' by Cynthia L. Baron, feel free to visit Career Services at Brock University. If you are looking to creating a more traditional portfolio we have plenty of resources and sample portfolios that have been generously donated by Brock alumni from programs such as Classics, Recreation and Leisure, and Biomedical Sciences!